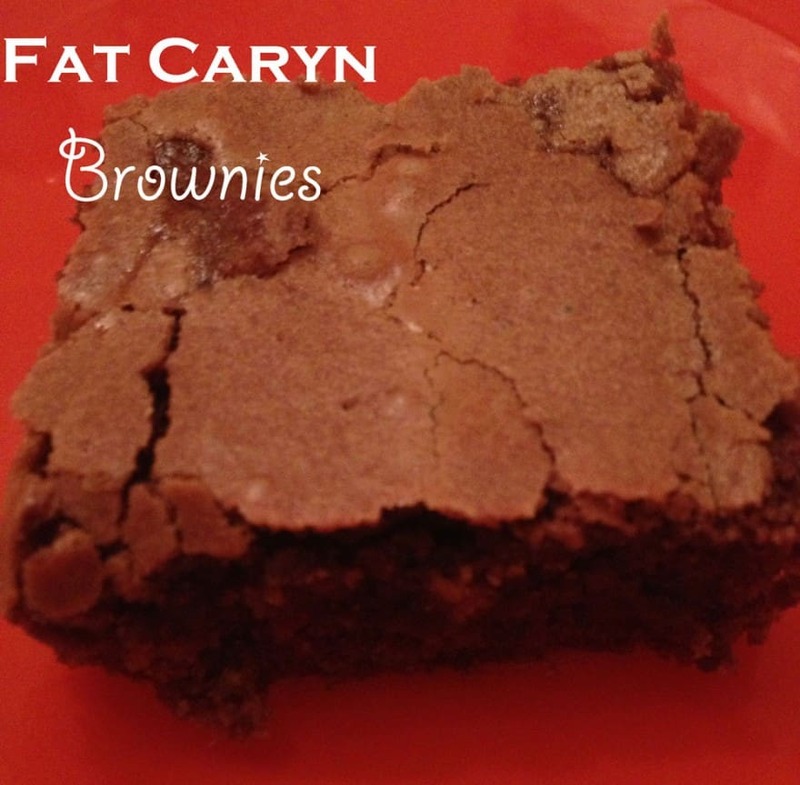 This is my version of the famous Fat Witch Brownies. I love the Fat Witch cookbook, but of course I had to tweak their brownie recipe! My sweet tooth is very evident in this recipe, but feel free to substitute bittersweet chocolate chips, if the semi-sweet make these too sweet for you. One of the best things about the Fat Witch cookbook is that all the recipes bake in a 9 X 9 inch pan and the cookbook fits in a 9 X 9 inch pan. That makes the cookbook and a pan the perfect gift! Spray a 9 X 9 inch baking pan with baking spray (or grease with butter and dust with flour). Place the butter and chocolate chips in a microwave-safe bowl. Melt in the microwave on high for 2 to 3 minutes, stirring every 30 seconds until the chocolate chips are melted. Stir in the pinch of salt. Set aside to cool. Cream the sugars, eggs, and liquor together in the bowl of an electric mixer. Add in the cooled chocolate mixture and mix until well blended. Add the flour to the chocolate mixture and mix the batter until well combined. Spread the batter evenly in the prepared baking pan and bake for 30 to 35 minutes, until a toothpick inserted in the center comes out clean (without any batter on it). Remove the brownies from the oven and cool 1 hour (or as long as you can wait). Cut the brownies just before serving.